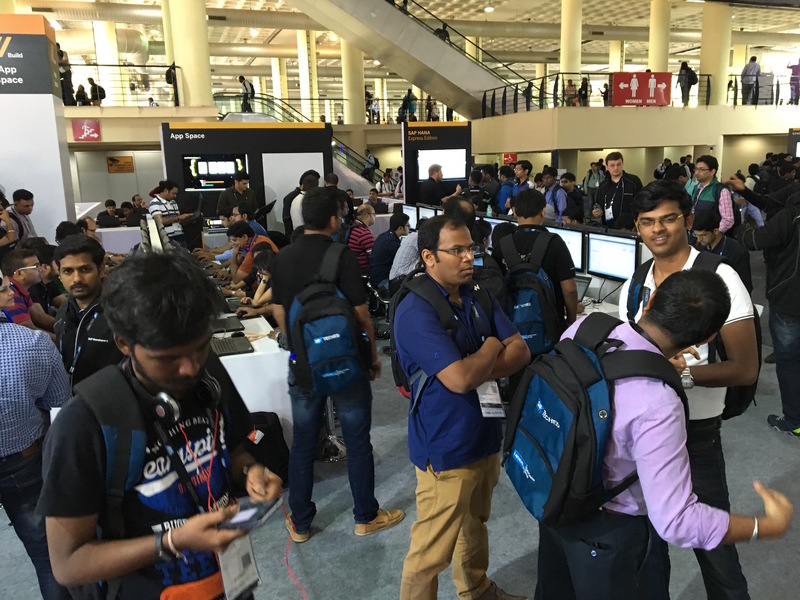 Now Landing in Bangalore – TechEd! Bangalore was quite an experience! The energy was amazing and the attendance was surprising. I was blown away by this city and all the attendees excitement. 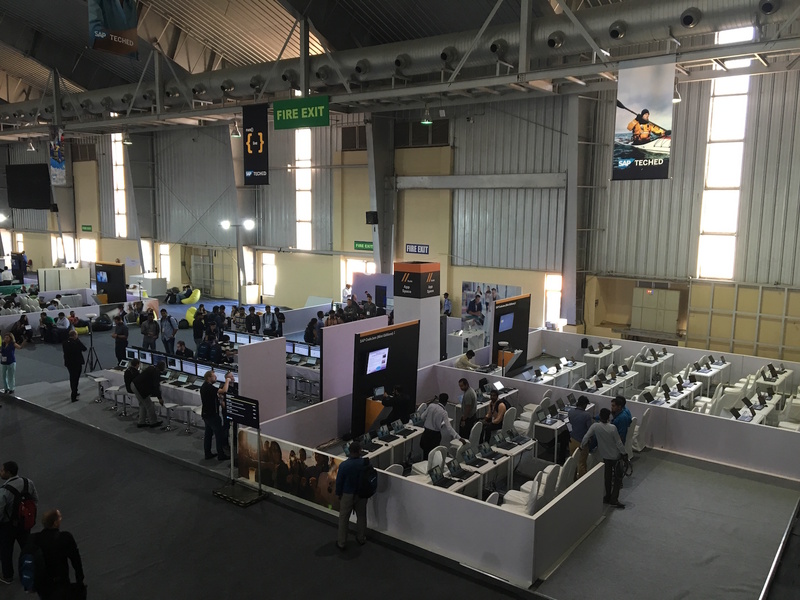 And for dramatic effect, the space for TechEd in Bangalore is massive! It must have held airplanes at some point…it’s that BIG. Day 1 was not supposed to start until noon, but we had people asking us to participate starting as early as 10am! We finally let people start working around 11am and we quickly filled up. I think the only time we weren’t full was during lunch on the 1st day. We were so crowded that I think more people were participating on their own computers than on the 32 we had set up. By the end of day 1, we had over 700 tutorials completed! 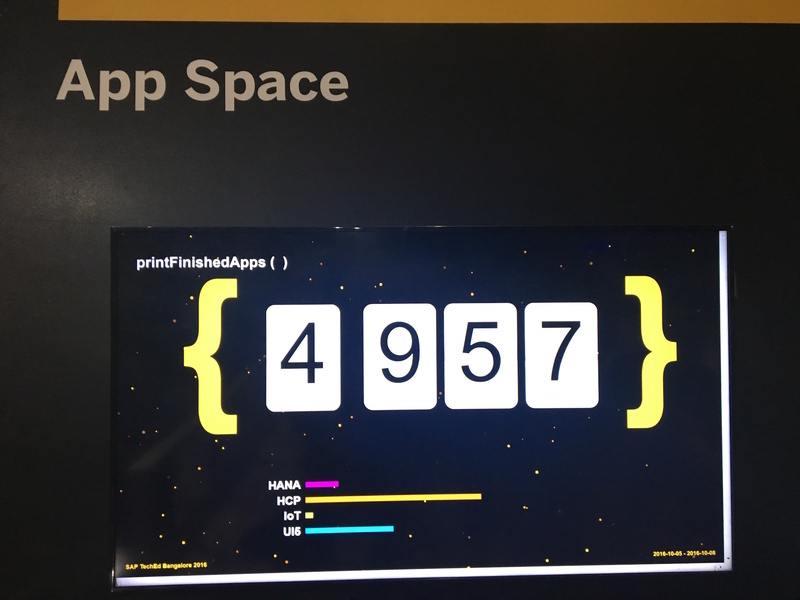 With word spreading like wildfire how awesome the prizes are in the AppSpace, Day 2 filled up almost as soon as the doors opened. It was crazy! I have to admit I was exhausted, but so happy to see how many people were interested in learning about the technology. The influx of people never stopped and when the Show Floor closed, we had to kick people out to go home! Friday was our last day in the AppSpace and it was hands down the busiest day. All 32 computers were taken as well as any and all outlets surrounding the AppSpace with people working on their own machines. I was not free for a minute! Answering questions, scanning badges, handing out prizes. It was a busy day, and a total shock to see that we not only beat the Las Vegas total, but doubled the Bangalore 2 day total as well! 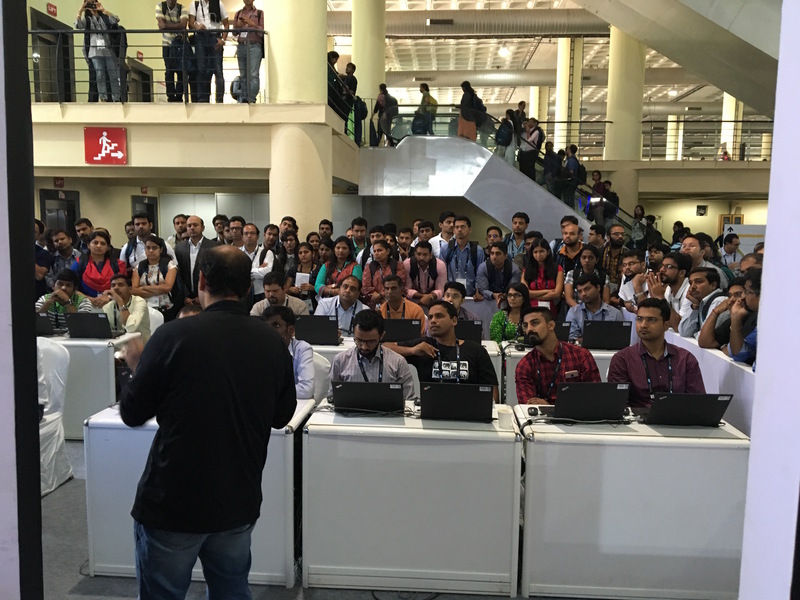 Bangalore, you were an amazing crowd that helped us reach an unfathomable total of 4957 tutorials completed in just 3 days! Thank you to all the attendees who stopped by! Your enthusiasm is what powered us through those busy 3 days!